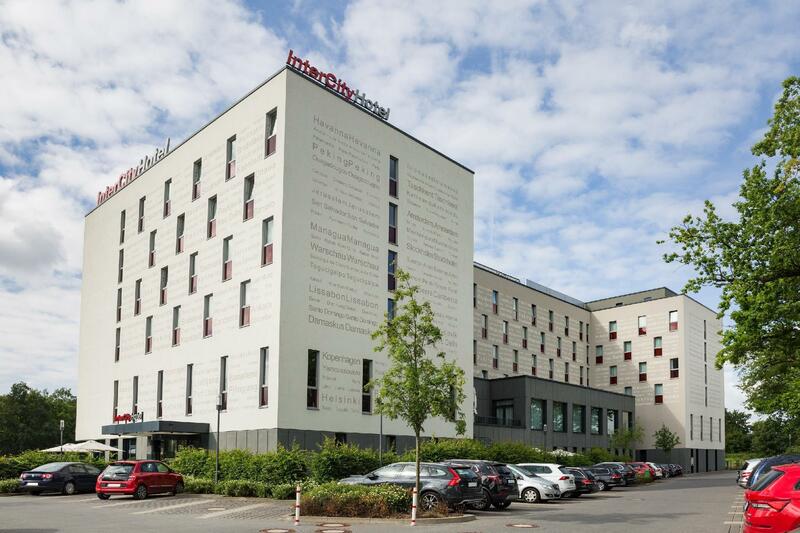 ﻿ InterCityHotel Berlin Brandenburg Airport Berlin. JIMAT di Agoda.com! Ada soalan mengenai InterCityHotel Berlin Brandenburg Airport? Sesuai untuk berehat dan bersantai, InterCityHotel Berlin Brandenburg Airport terletak di area Lapangan Terbang Berlin-Schonefeld di Berlin. Hanya 15 km dari pusat bandar, lokasi strategik hotel memastikan tetamu boleh ke mana-mana sahaja dengan cepat dan mudah ke tempat-tempat tarikan. Dengan tarikan utama di bandar ini seperti Berlin Schonefeld Airport, Krankenhaus Hedwigshohe, Denkmal der Spanienkampfer berada pada jarak yang dekat, pengunjung hotel pasti akan menyukai lokasinya. 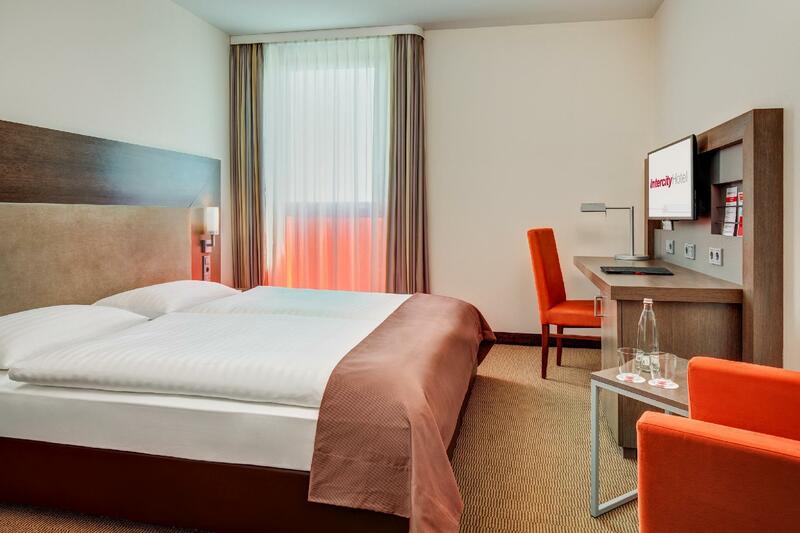 Perkhidmatan hotel kelas pertama dan kemudahan yang menentukan pengalaman Steigenberger Hotels menanti anda di InterCityHotel Berlin Brandenburg Airport. Hotel ini menawarkan pelbagai kemudahan di lokasi untuk memuaskan hati tetamu termasuk yang arif. 198 bilik di sepanjang 5 tingkat menyediakan suasana nyaman dan menyenangkan. televisyen skrin rata, karpet, ruang tamu asing, internet wayarles (percuma), bilik larangan merokok boleh didapati di beberapa bilik. Hotel ini menawarkan banyak peluang rekreasi yang unik seperti pusat kecergasan, sauna. Apapun alasan anda untuk melawat Berlin, InterCityHotel Berlin Brandenburg Airport adalah tempat yang sempurna untuk percutian yang menyeronokkan dan menarik. Walking distance to the airport and train, good food, beer, and service, very friendly and helpful. The hotel is right across the street so if you can rest well for a good flight. The facilities are brand new and the room is nicely decorated. I felt like being fully charged when staying here. I would return. Great option if you need a hotel by the airport. Very convenient and one of the nicer looking hotel rooms Ive stayed in. Good value for money and would definitely stay again. nice, clean airport hotel to spend one or two nights while waiting for the connection flight. Staff very nice. This hotel was nice, but expensive and the wifi was bad. Plus, it is an hour outside the city and although it says it is an airport hotel it is 10 mins walk from both the airport and the train station. I stayed just one night, in and out, but the service i experienced was excellent, the menu looked good and reasonably priced (although I didn't eat there) and room comfortable. Would recommend to friends. Clean. Big room. Nice stay. 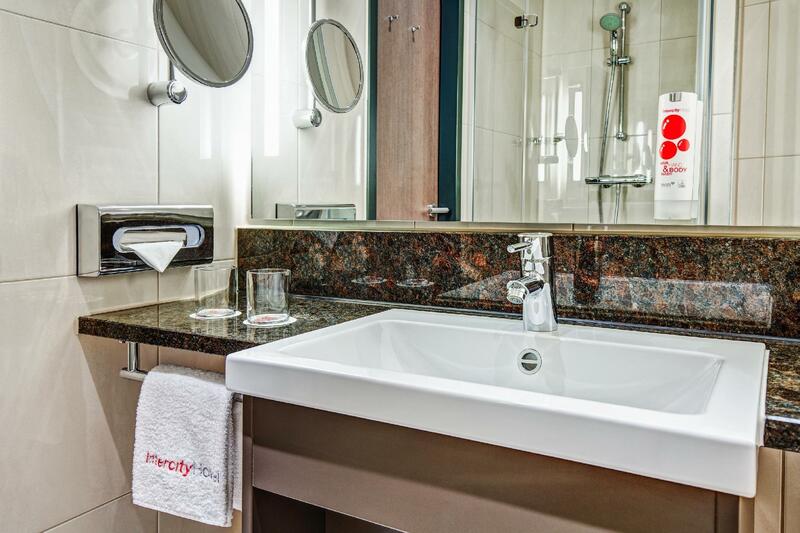 Walking distance to the airport, clean, pleasant staff. This was a great hotel which we used as a stop over on our way to Poland. Clean rooms and nice staff. Although we had a very short stay I would have no hesitation recommending this hotel. It was not bad but because of the inconvenient location we wasted lots of time travelling to the city center. Another problem is that there is no free wifi in the hotel. You have to pay for wifi. Only one PC with free internet connection can be used in the lounge but it is very slow and the internet automatically closes every 15 minutes and you need to get an internet access code every 15 minutes from the receptionist! The staff, the room and what the location is good for both to the airport and the train station. I was there to pick up a breeding dog that I had bought. And when the dog cage arrived, (which he was supposed to be in aboard in the airplane), it was broken. But the Rooms Division Manager at the hotel was so nice to offer to go and return it and get a new cage. And it did not matter what we asked him for helping us with, he was always willing to assist us. So the hotel staff gets 10 points and he gets 20 points. Plus - free day ticket for public transport. Wery welcome personell. The furniture is new. Minuses no teakettle, payable wifi in the room. A pleasant stay in a clean, comfort and modern room. The hotel is very near to Schonefeld Airport. A barely 5-minutes walk is all you need to reach the airport which was the reason I chose this hotel. Good to talk to the staff and get guidance from them. Nice room with a good bed and a good bathroom. Supported the airport. Great to get a free train tickets and press station. We had a pleasant stay. We took the train in the evening to see the Alexanderplatz. Stayed one night and then we drove to the Czech Republic. When we came back from the Czech Republic, we went to your hotel and had a good dinner before we flew back home. Your staff was very helpful. One thing that could be better is the network connection, it was very slow. It is also complicated to drive from the airport to you, because you can not take u turn on the first street lights and we got lost on the highway to Dresden. We will recommend your hotel.